Rejected twice for war service, this scrawny Texas farm boy became America's most decorated WWII hero--and a movie star. A search party struggled through thick woods on Virginia’s Brush Mountain. Atop the 3,065-foot peak about 12 miles from Roanoke, the searchers came upon the plane wreckage a helicopter crew had spotted earlier. They found three bodies in the mangled fuselage and three others in the scattered debris. 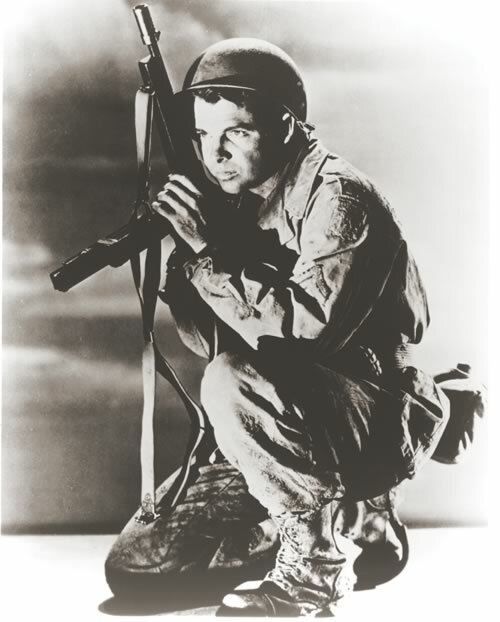 Among the dead was 46-year-old Audie Murphy, the most decorated veteran in US history. Murphy, who had been flying to Virginia to check out an investment opportunity, had earned 21 medals in World War II, including the Congressional Medal of Honor. After the war he had appeared in many movies, some good, most mediocre. By the time the plane crashed on May 23, 1971, he seemed to be a man from another time. News of his death shared the front page of the New York Times with accounts of Memorial Day protests against the Vietnam War. Born on June 20, 1924, near the Texas town of Kingston, Murphy was one of nine surviving children of parents who eked out a living from the land. “We were share-crop farmers,” he wrote. “And to say that the family was poor would be an understatement. Poverty dogged our every step.” When Murphy was 16, his father left. “He simply walked out of our lives, and we never heard from him again,” Murphy wrote. His mother died the next year, and Murphy took her death hard. The family had to break up, and Murphy’s three youngest siblings were sent to an orphanage. The coming of war with the Japanese attack on Pearl Harbor on December 7, 1941, seemed to promise a way out of a bad situation, although Murphy—short, freckle-faced, and slight—seemed an unlikely warrior. The marines wouldn’t take him. Neither would the paratroopers. When he finally managed to enlist in the infantry, he was 18, but he looked younger. His sergeant at training camp called him Baby, and Murphy passed out during his first close-order drill. Commanders tried to keep him from combat, suggesting they could get him posted as a clerk or a baker. But he wanted to fight. The chance finally came when Murphy’s Company B of the 15th Regiment, 3rd Division, landed in Italy. He killed his first enemy soldiers in Sicily: two Italian officers who tried to gallop away on horseback. “I feel no qualms; no pride; no remorse,” he said in To Hell And Back, the 1949 autobiography he co-wrote with journalist and friend David McClure. “There is only a weary indifference that will follow me throughout the war.” Even at this early stage in his combat career, he was learning how to suppress his emotions. From Sicily, Murphy’s company moved to the Italian mainland. A bout of malaria kept him from participating in the initial landings at Anzio, but he saw action enough. German resistance stiffened after the landings, and the Allied soldiers endured a miserable stalemate. One night, while under fire, Murphy crept up to a damaged German tank and put it permanently out of commission. 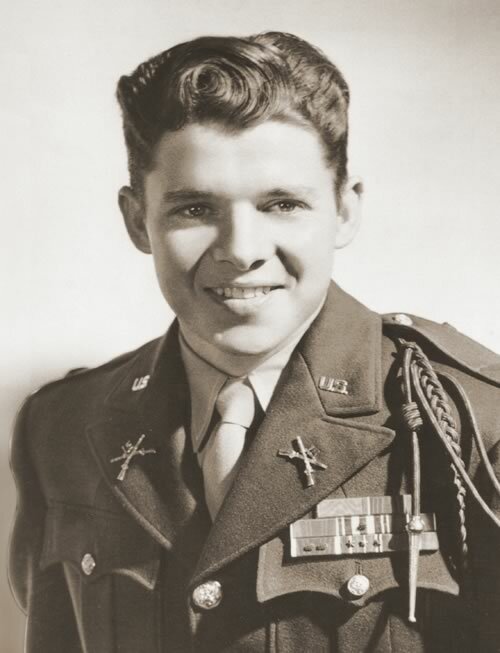 The attack earned him his first medal, a Bronze Star. Company B left Italy on August 12, 1944, to fight in Operation Dragoon, the Allied invasion of Southern France. The Americans swarmed ashore almost unopposed. Murphy, now a sergeant, was heading inland with Company B when a German machine gun on a ridge above a vineyard pinned them down. Private Lattie Tipton, a lanky 33-year-old Tennessean who had become Murphy’s closest friend and a father figure of sorts, followed Murphy forward to take on the Germans. Murphy urged him to head back and get a wounded ear treated, but Tipton refused. “Come on Murphy,” he said, “let’s move up. They can kill us, but they can’t eat us. It’s against the law.” Minutes later Tipton was dead. The Germans waved a white flag, and Tipton, though an experienced infantryman, made the mistake of standing up. German machine guns treacherously shot him right back down. Tipton’s death swept Murphy into a blur of fury. “I remember the experience as I do a nightmare,” he wrote. “A demon seems to have entered my body. My brain is coldly alert and logical. I do not think of the danger to myself. My whole being is concentrated on killing. Later the men pinned down in the vineyard tell me that I shout pleas and curses at them, because they do not come up and join me.” Using a captured German machine gun, Murphy methodically mowed down the Germans who had killed his friend. “As the lacerated bodies flop and squirm, I rake them again,” Murphy wrote; “and I do not stop firing while there is a quiver of life left in them.” Murphy won the Distinguished Service Cross for his actions that day. He gave the medal to Tipton’s daughter. To this point in the war, Murphy had somehow survived physically unscathed. He received his first wound as the Americans pushed northward through France, the German army retreating before them into the Vosges Mountains. During one fight, a mortar shell struck near him, killing two soldiers and knocking him unconscious. The blast shattered the stock of his lucky carbine (which he wired back together), but his own injuries were only minor. Murphy’s battlefield prowess did not go unnoticed, and despite his protests that he wanted to remain among the rank and file, he was commissioned a second lieutenant on October 14, 1944. Less than two weeks later, as frosty weather hinted at the bitter winter to come, a hidden German rifleman shot him in the hip. Even wounded and on the ground, Murphy managed to kill the sniper before the sniper could finish him off. But his wound soon became infected, and surgeons had to remove a large chunk of flesh from his hip. Murphy rejoined Company B three months later, just in time for one of the unit’s most difficult actions: defeating the German troops in the Colmar Pocket, a bulging salient that extended into France on the west bank of the Rhine River. On January 26, Murphy and Company B found themselves on the outskirts of woods facing the German village of Holtzwihr. The day dawned miserably cold and uncomfortable as the small American force waited tensely for an attack. Finally, six German tanks supported by infantry began moving toward them from the village and quickly put two American tank destroyers near Murphy’s company out of action. Murphy sent his men back, but he stayed put with his field telephone. He was only 20 years old, and it did not look like he would live to see 21. With his phone, Murphy called in artillery fire on the advancing German infantry. German tanks were approaching on his sides, but Murphy climbed onto a burning tank destroyer—which could have exploded at any second—and began firing its .50-caliber machine gun. He killed dozens of German soldiers, forcing the tanks to fall back due to lack of infantry protection. One German squad sneaking up on Murphy’s right got as close as 10 yards from him before he detected the threat. He shot the whole squad down. Somewhere along the way, Murphy got hit in the leg, but he kept fighting until he ran out of ammunition. Having killed about 50 Germans, he returned to his company, where he refused medical help and instead rallied his men to make a counterattack. The Germans were forced to retreat. Murphy’s heroics at Holtzwihr earned him the Congressional Medal of Honor, the nation’s highest military award. The citation read, “Lt. Murphy’s indomitable courage and his refusal to give an inch of ground saved his company from possible encirclement and destruction, and enabled it to hold the woods which had been the enemy’s objective.” When the army found out Murphy was going to receive the medal, it pulled him off the front lines; too many of these medals had ended up being awarded posthumously. Still, Murphy found a way into combat. On one occasion he went in to rescue his company when it was pinned down by German fire along the Siegfried Line in western Germany. The Life story opened an unexpected door for Murphy. Actor James Cagney saw it and invited the young veteran to Hollywood. “All I saw him as was a typical fighting Irishman,” Cagney said. “Perhaps I imagined there was a little bit of me in Audie.” Cagney put Murphy up for a time in his Hollywood home and provided him with acting classes, but after two years, the country’s most decorated soldier was broke and living above a gymnasium. It was around this time that McClure met Murphy. McClure was a fellow Texan and ex-army man, now working as an assistant to Hollywood gossip columnist Hedda Hopper. He heard of Murphy’s plight and began to champion him. The two men became friends and started working on To Hell And Back, with McClure prodding the reluctant Murphy to provide material he could use in the book. “Audie had been burned out by the war,” McClure said later. “He reacted intensely to the death of his friends in combat. I supposed in order to keep from going insane he buried his emotions so deeply that getting them back was difficult if not impossible.” But McClure persevered, making up the material that Murphy couldn’t—or wouldn’t—supply, and the book came out in 1949 to favorable reviews. 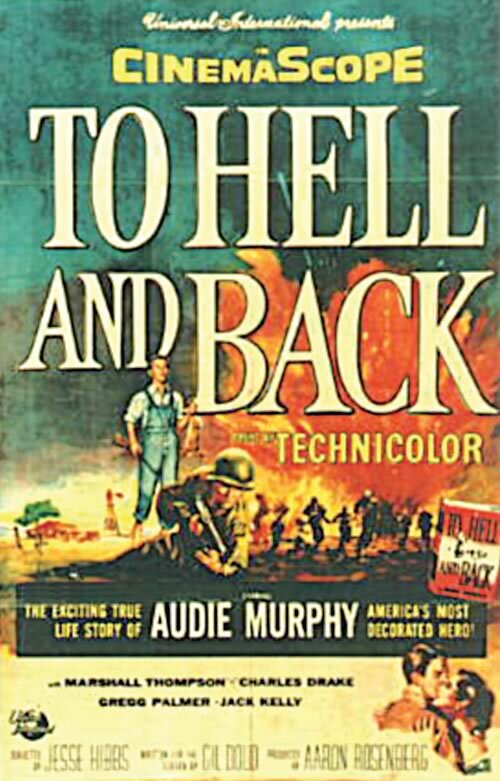 Murphy had one undeniable film success: playing himself in Universal’s 1955 adaptation of To Hell And Back. He re-created his combat experiences—even though they were layered over with Hollywood gloss—with an understated dignity that helped lift the movie above its otherwise pedestrian treatment of the war. The movie remained Universal’s biggest moneymaker until Jaws in 1975. On the personal front, Murphy’s life maintained a slow downward slide. He married starlet Wanda Hendrix in 1949, but the marriage lasted only 15 months. Four days after his divorce, in 1951, he married Pamela Archer. That marriage, too, was strained. Murphy was a haunted man, tortured by insomnia, his nights interrupted by a recurring nightmare in which an army of faceless men attacked him on a hill. Murphy fought back in the dream with his trusty M-1 Garand rifle, but pieces of the gun kept flying off until he had only the trigger guard left. When Morgan visited Murphy at his house in California to interview him, he saw a small glass display box with some of his medals inside. The display was in disarray. The Medal of Honor looked “tacky,” Morgan noted, while the first of Murphy’s three Purple Hearts had fallen and lay face down at the bottom of the case. Like Murphy himself, the medals were ignored, forgotten. At the time of Morgan’s visit, Murphy, America’s most decorated soldier, had four more years to live. But part of him had already died, long before his airplane crashed into the top of Brush Mountain. Tom Huntington, a contributing editor to America in WWII, has written for Smithsonian, American Heritage, Yankee, and other publications. This article appeared in the February 2007 issue of America in WWII. Order a copy of this issue now. 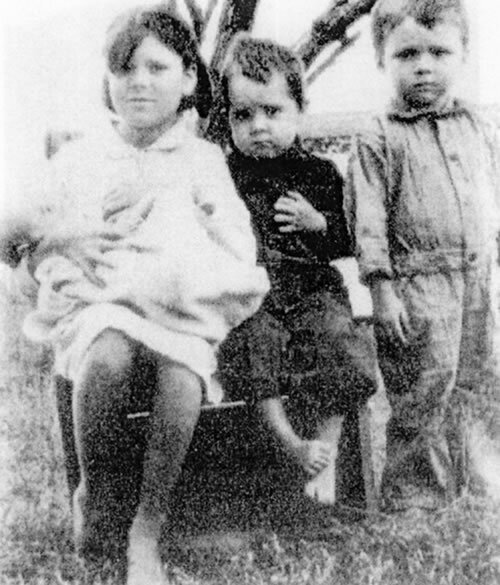 Photos: Audie Murphy after the war, in 1945, at age 21; Murphy (right) with siblings; Murphy playing himself in the 1955 movie To Hell and Back.